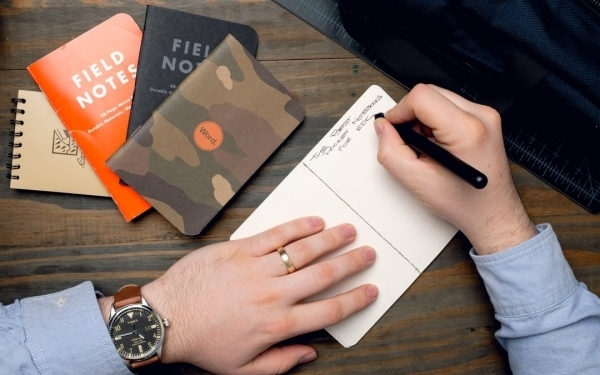 If you’re already carrying a good EDC pen, a pocket notebook is the next logical step. It's often harder to find something to write on than it is to find something to write with. Whether you’re planning out you to-do list for the day, jotting down a great idea before you forget it, or even sketching up your next great design, a pocket notebook is sure to come in handy. Yes, you can take notes on your phone, but there are plenty of reasons to use a good old fashioned pocket notebook that justify carrying one as part of your EDC. Today, we’re taking a closer look at ten of the best and newest pocket notebooks for 2019 that are sure to complement your everyday carry. When it comes to rugged wallets built to withstand both daily use and the ravages of time, few manufacturers have made their mark as well as Trayvax. With robust materials paired with USA-made fit and finish, their products have become mainstays in many EDCs. Now they've set their sights in leveling up the rest of your essentials with the Summit Notebook. Built to work with the original Summit minimalist wallet and with a few useful tricks up its leather sleeve, the Notebook is a one-stop shop for keeping your essentials classy and consolidated. 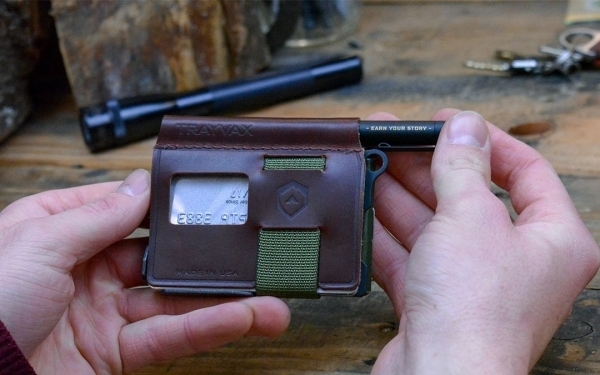 Trayvax's Summit wallet was designed to be as lightweight and efficient as possible: nylon webbing secures up to 8 cards and folded cash in a 3D-stamped steel frame. The Summit Notebook turns the wallet into a sleek leather journal, using its webbing to lock it into the left side. On the right side there's space for a compact notebook and EDC favorite Fisher Space Pen. The leather itself is chestnut-colored oiled latigo cowhide leather that's combination-tanned to be flexible yet durable. Its left panel sports an ID window that gives quick visual and access to the top cards on the Summit wallet, while its right side houses a stash slot for extra cash or essentials. 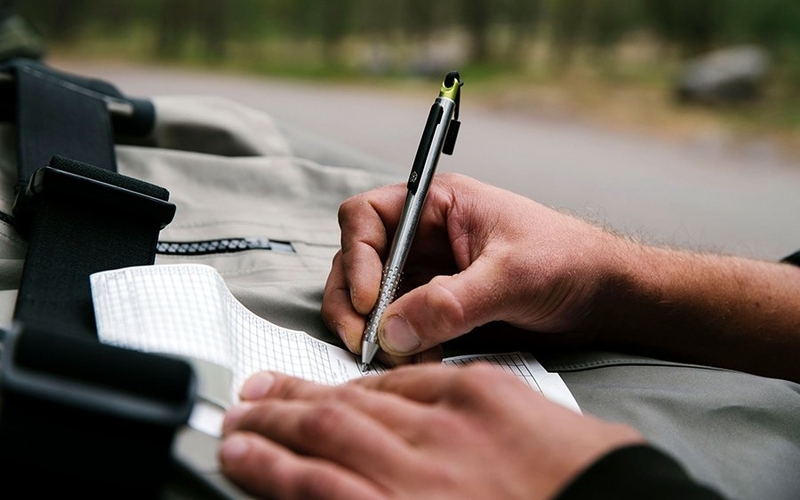 The included compact notebook uses paper from another EDC favorite, Rite in the Rain, making use of its all-weather performance, and down the Notebook's spine is the pen slot to store the Fisher Space Pen. The whole package without cards or cash weighs 3.36 ounces, making it as pocket-friendly as possible while still maximizing its included essentials. “Buy it for life” is the name of Trayvax's game, with generous lifetime warranties to ensure quality and satisfaction for their products. Compact and protect your essentials (and ideas) with the Summit Notebook bundle at the Amazon link below, or if you're already using the Summit Wallet, level it up with just the Notebook sleeve available here. New Year, new you! At least that’s what everyone hopes will happen. After wrapping up the holidays and getting back to work, chances are that you might need some help getting re-organized. Luckily for you, the newest seasonal release from Field Notes is appropriately named “Resolution” and it’s designed to help you organize and tackle your daily tasks. This vibrant 3-pack of notebooks contains one 56-week planner and two checklist journals. The 3.5 x 5.5” format is ideal for both carrying in your pocket or tossing in a bag without taking up too much room. The covers are bright red, white, and blue with alternating colored text, making each book stand out. It’s what’s on the inside that counts though. All three books feature light grey paper with white and medium grey inks. The date book displays one week on each page, perfect for recording and viewing appointments or reminders. Instead of a standard lined ruling, the checklist features alternating white and grey blocks with what Field Notes calls a “Slot Screw-Head Device” at the start of each line for marking tasks complete or in-progress. The “Resolution” set provides a great way to get organized and track your goals for the new year. As far as pocket notebooks go, these have some of the most useful features for staying organized. 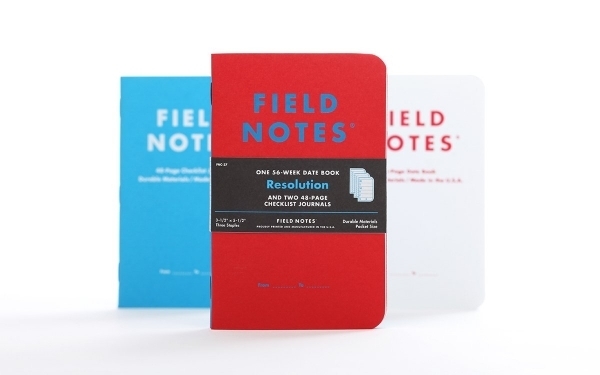 Grab a 3-pack of notebooks from Field Notes direct at their website linked below or check out the set on Amazon for additional sellers. Keeping track of all your big projects, to-do's, and random bits of important information throughout the day is hard enough. Trying to do it all in your head? Forget it. 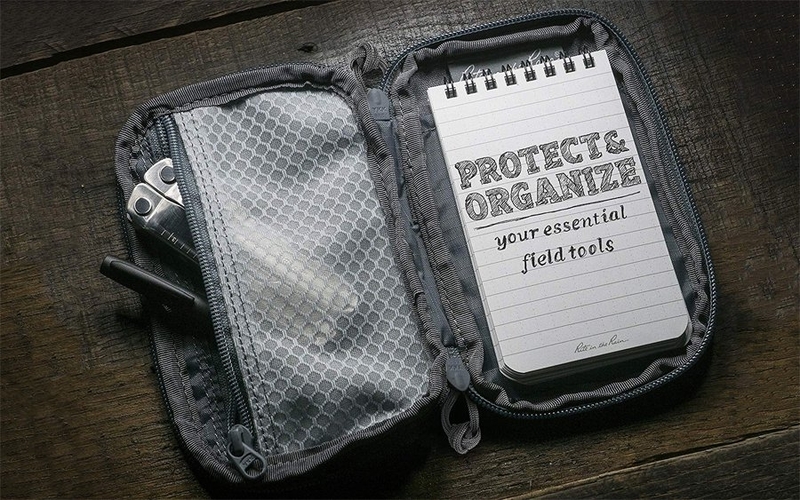 A pocket notebook can be both your simplest and strongest ally in staying organized on the go. But here's the thing: your plans and ideas can differ drastically, while most notebooks out there are more or less the same. You know the type: 3.5x5”, 48 pages, staple bound, with a nifty cover design or page ruling as the only variables. If you need something more specialized than these one-size-fits-all notebooks, this guide's got you covered. These 5 pocket notebooks stray from the standard formula in terms of their size, pages, and features to fit right at home in your EDC. How many times have you picked up your phone, just to forget what you were going to do with it? You end up browsing social media, checking an email, and often get distracted before you accomplish what you set out to do. 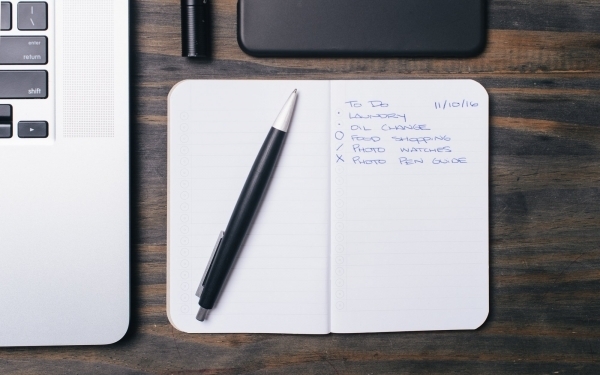 When the world is full of digital distractions, sometimes it’s hard to keep track of even the most basic of to-do lists. The creators behind the Corso Mindful Notebook set out to make a notebook that motivates you and keeps you focused on the tasks at hand. With a the addition of a few simple features, Corso has transformed a basic notebook into a powerful tool to help you get motivated, achieve your goals, and reflect on your day. At the top of each page in the notebook is an inspirational quote. These short quotes are great for getting your creative juices flowing. It’s also less daunting than a completely blank page. Below, there are plenty of lines to write out a journal entry, sketch an idea, or write out your to-do list. At the bottom of each page is a grey box for what they call “Daily Gratitude Practice”. By writing down what you’re grateful for each day, you can remind yourself of everything in your life that makes you happy and keeps you going. Corso also paired up with mindful.org to give back. A portion of each sale will go to the Foundation for a Mindful Society — a non-profit dedicated to bringing mindfulness into the daily lives of people all over the world. 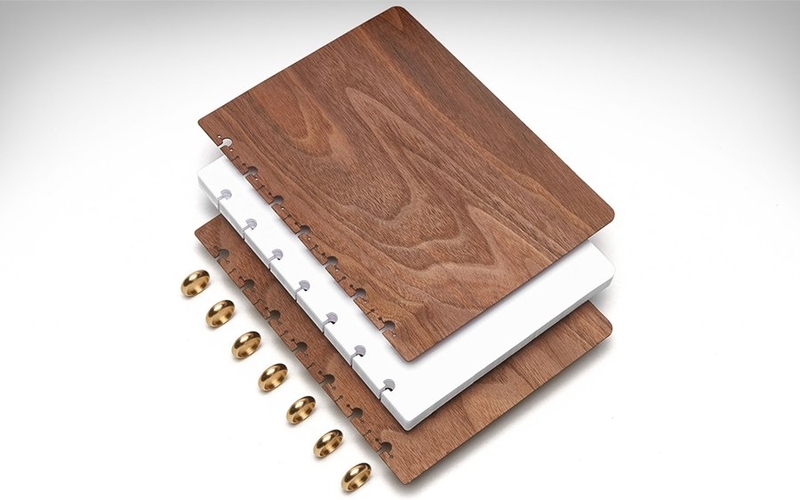 The Corso Mindful Notebook is available on Kickstarter now. They’ve already surpassed their funding goal by several thousand dollars at the time of publishing. 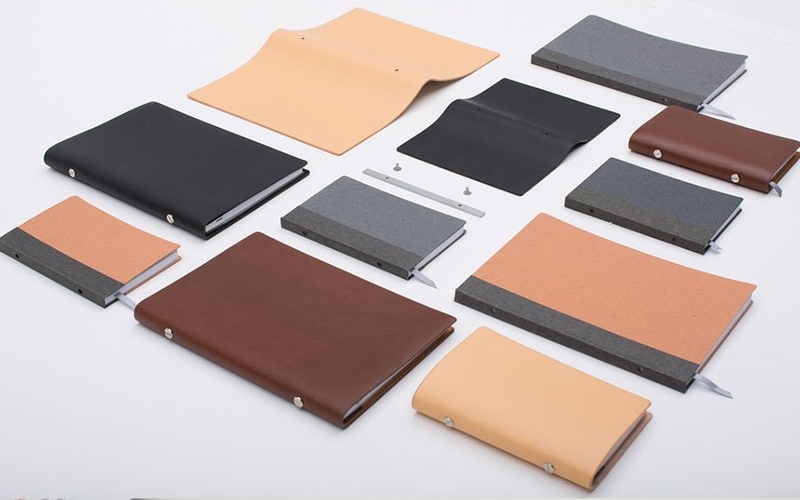 Add-on pledges include a sustainably-sourced ostrich leather cover, as well as additional notebooks. A $28 pledge secures you a book with a delivery before the 2017 holidays. This is a sponsored post presented by Corso. Even with the latest and greatest smartphones releasing year after year, so many EDCers still swear by good ol' fashioned pen and paper. They make an unbeatable duo when it comes to fleshing out ideas and keeping tabs on things without having to swipe through app menus and folders. But unlike a smartphone, they're not always the easiest thing to slip into your pockets day in and day out. The team at Dango Products have had success with taking something easy and essential to carry—your wallet—and redesigning it to help you carry more, smarter. Their latest project, the P01 Pioneer Wallet, consolidates your pen and paper in one place, but does it in a more compact wallet-sized form factor rather than your typically bulky journal cover design. One big reason the P01 Pioneer is able to easily carry everything in such a compact footprint is because Dango designed every component from the ground up to fit together perfectly. They've taken one of the oldest tricks in the EDC playbook of slipping a pen into the spine of your wallet, then upped the execution. The pen was custom designed to slot into the spine of the P01 so it sits flush. To get that perfect fit, it's CNC machined in the USA out of a lightweight, anodized aluminum like you'd expect to see on quality flashlights and other EDC tools. It boasts write-anywhere performance thanks to a pressurized ballpoint ink refill, and it's compatible with the crowd favorite Fisher Space Pen refill as well. The business end of the pen narrows down to a minimalist grip system of 3 silicone o-rings while the back of the pen comes to a 4-way slotted tip for multiple attachment configurations. By now the P01 campaign hit its first stretch goal, so backing the project will get you a free paracord lanyard to easily retrieve the pen. The other part of the equation is the notebook. It's not the largest notebook you can carry, but it might be one of the most convenient ones. At a modest 24 pages, it's a good balance between portability and thinness without needing replacements too often. Not to mention it's stitched and finished in the USA then protected from excess wear and tear in the P01 wallet itself. 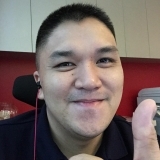 Of course, the P01 is still an EDCer's wallet at its core. It has some of the best elements of all the different kinds of wallets you can carry in one. For starters, it's made in the USA from premium Italian veg-tan leather for that patina after break in and familiar feel in hand. But that's where the similarities with traditional leather wallets end. The leather comes laminated with an RFID-blocking material for your security and geometric patterning give a look and ergonomic feel that lean towards the future. The P01 uses a silicone strap for extra security and versatility like you'd find on more modern minimalist wallets. It's designed to accommodate up to 20 cards as well as Dango's wallet-sized multi-tool from their earlier line of wallets, the MT02. 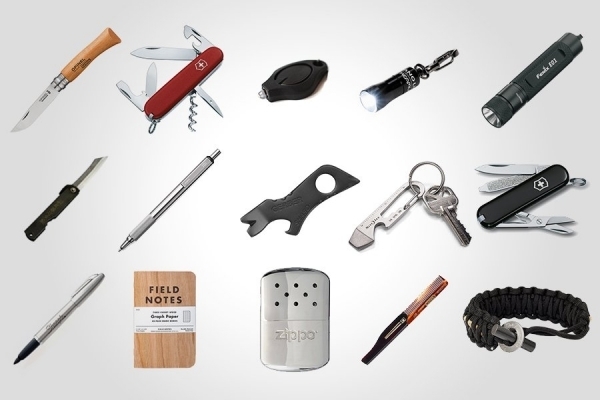 With options for a pen, notebook, multi-tool, and cards, it's got room for a big chunk of your daily kit. There's just a month left to back the P01 on Kickstarter. It comes in two colorways — a natural tan with silver or a fully blacked out setup, now with a free paracord lanyard as part of the campaign's first unlocked stretch goal. 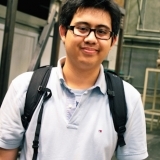 Check it out in more detail at the link below. Unless you’re filling up a notebook in a few days, chances are that it won’t survive long in your pocket alongside other gear. The best way to make sure you’re getting your money’s worth out of each notebook is by pairing it up with a cover. At the expense of some portability, journal covers add durability and even additional storage to your favorite notebook. For example, some covers have room for a pen, a few cards and cash, and other EDC gear. 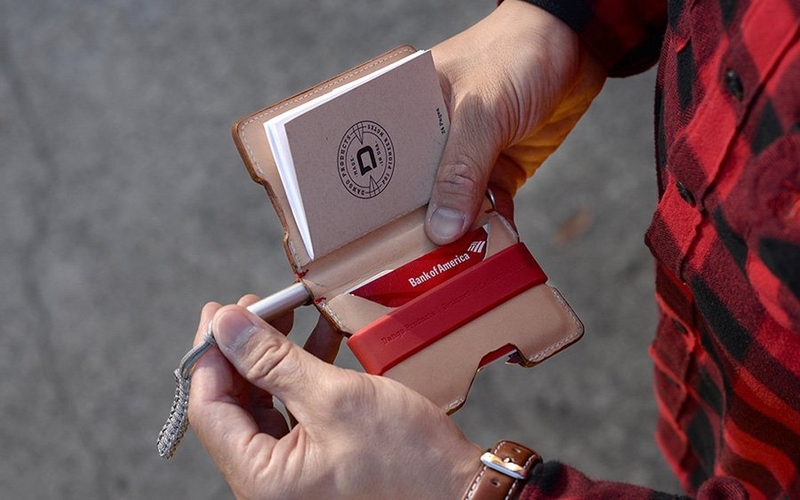 Our readers requested a roundup of our favorite pocket notebook covers, so we happily obliged. Once you’ve figured out which 3.5x5.5” pocket notebook is right for you, pick up one of these covers to keep it protected. 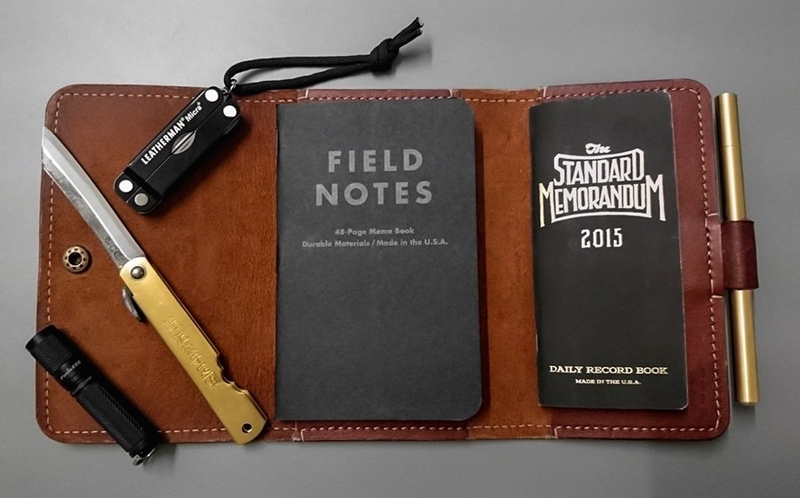 If you’re already carrying a good EDC pen, a pocket notebook is the next logical step. 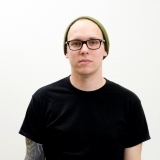 Often, it’s harder to find something to write on than it is to find something to write with. 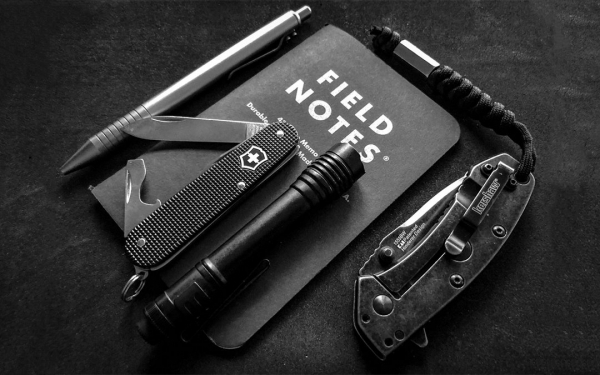 While browsing the site, you may have noticed more and more pocket notebooks showing up in EDCs. 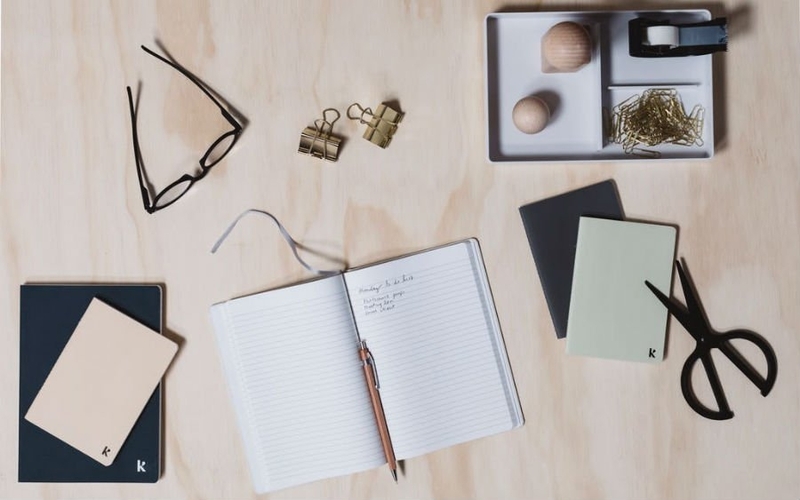 While it might seem like a trend, the truth is, lots of us rely on these little notebooks to write down critical information, notes, lists, and more. We’ve already outlined why you should carry a pocket notebook in general, but today we're highlighting the 10 best notebooks worth carrying. Ever find that your pocket notebook gets torn to shreds before you can even fill it up? It happens more than it should, but the solution is pretty simple. 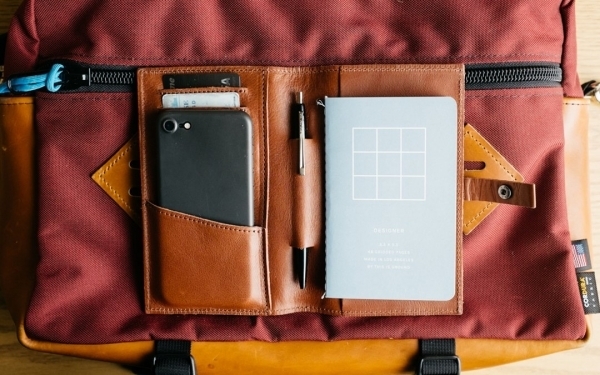 Consider slipping your notebook into a leather cover, like this one from Bellroy. In addition to protecting a passport or pocket notebook, the cover also features card slots to replace your wallet for an even slimmer pocket carry. The Notebook Cover is as slim as they come, yet full of thoughtful storage slots. 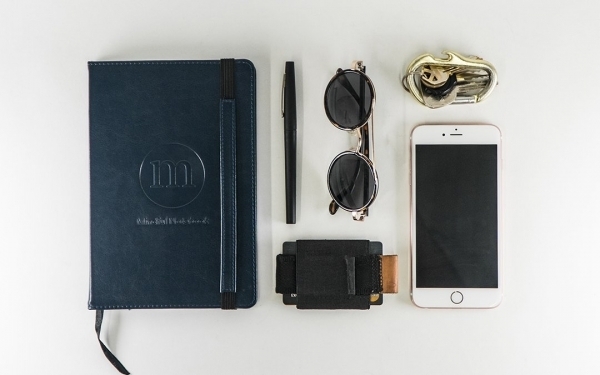 In addition to your preferred 3.5” x 5.5” notebook, the Bellroy Notebook Cover has room for your daily essentials. Two card slots can hold 4-6 of your most-used cards or some folded up cash, allowing you to leave your wallet at home. There's even a place for a pocket pen to clip into the spine where the cover naturally folds. It's actually really easy to open and close, thanks to hidden magnets that snap the cover in place. The magnetic closure system won't wear out over time either, unlike snaps and elastic bands you'd find on other covers. 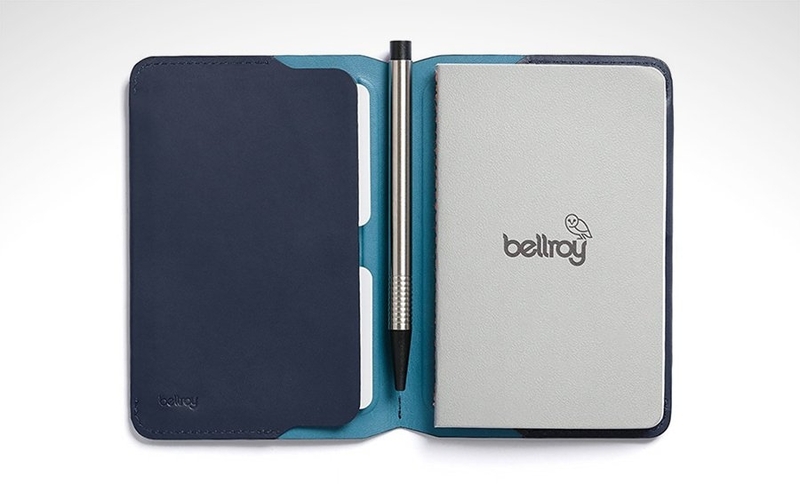 Instead of a standalone notebook cover, consider this all-in-one replacement from Bellroy. Your pockets will thank you. Grab one on Amazon at the link below, or check it out in five color options of top-grain leather at Bellroy's site. If you’re like us, finding the right gear to EDC for ourselves is hard enough. Trying to find a gift for another like-minded EDCer can be daunting, if not utterly exhausting. How do you pick something they’ll appreciate, actually use, and be proud to carry? 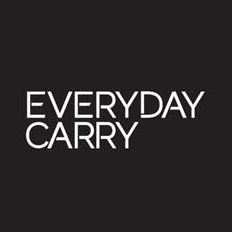 Our Everyday Carry gift guide should help. So you want to get organized… You might think, “Just carry a pocket notebook and take detailed notes!” Sounds easy, right? But if you've given it your best shot and page after page looks like a scribbly, doodly, indecipherable mess, maybe you need something more than a blank sheet. Leave those to the imaginative types, and try a notebook with structure to guide your thoughts. We've rounded up 7 EDC-friendly pocket notebooks with useful layouts and clear ruling to help you get your notes in order.